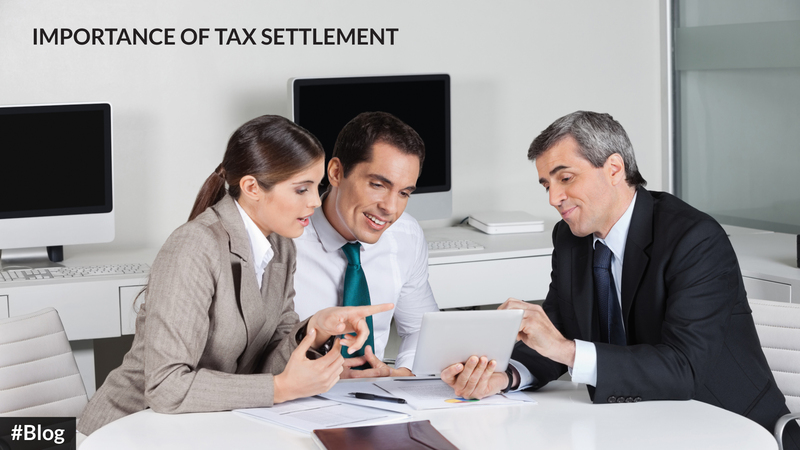 FindItMore | What is a tax settlement? It is a program that is acceptable to the state taxing law and to the IRS (Internal Revenue Service), which authorizes a taxpayer to clear an outstanding tax debt at less the original amount owed. Taxation law sometimes offer this kind of settlement when justifying circumstances exist that would make it hard or impossible for the taxpayer to honour the whole debt. However, not every situation is engaged into a tax settlement and the taxation official first weighs the individual situation at hand in order to determine whether a tax settlement is possible or not. There is indeed a great importance of tax settlement and you must not lose any relief that you can be given by the tax settlement opportunities given by the IRS. Pay Less-Tax settlement helps the taxpayers pay less than the original amount owed. If a tax payer meets the set qualification, a tax settlement is set and presented in a short duration. After the balance is paid on the basis of a mutual agreement, the debt is considered fully settled. This means the client is not anymore a subject of delayed/late fees or any other penalties associated with the late fees. Circumvent/Avoid Garnishment and Liens- Another importance of tax settlement is the fact that it helps the taxpayers avoid placement of tax liens on their properties such as homes or businesses, placement of bank levy on their accounts and implementation of wage garnishment on their wages. IRS (Internal Revenue Service) gives the taxpayer a chance to negotiate either a tax settlement for less the amount owed or to come up with an agreement on an alternative method that the IRS can use to collect taxes owed over the time. In either of the cases, the tax payer must first meet the set IRS qualification of one the settlement methods. The tax payer determines the type of settlement type they would like and later on submits the required documents to the IRS for vetting prior to decision making. The information can be filed in by the tax payer or they can get a designated tax expert to make the filing. Normally, tax settlement negotiation is between the individual and the tax authority involved. However, it may include a third party, a tax settlement expert if the tax payer seeks a professional assistance. A tax settlement help in the payment of the whole tax settlement amount in a given period of time is necessary for a tax payer. During the allocated time frame, no tax interest or late taxes is assessed on the tax settlement balance. The settlement can be paid in one lap, if not possible the tax authorities creates a payment schedule that is within the tax payers ‘means ,that is with the last payment concurring with the final date as attached to the settlement offer. If the tax payer honours the terms and condition and settlement is reached, the tax payer is considered to be in good standings with the tax authorities for the tax years the settlement had covered. IRS/tax authorities give settlements to tax payers struggling to pay their tax debts or those with genuine reasons to subside their penalties. The major issue considered in determination of the tax payer eligibility is their financial status. Financial hardship, for example, is a good indicator to the tax authorities therefore a tax settlement program is offered to the tax payer. However, if the tax authority finds out that the tax payer has enough income to pay the balance owed over time, the tax settlement program is denied. Instead, the tax authority/IRS offers to take monthly payment of a specific amount until the whole debt is paid off. At times the tax authorities realize special instances where the tax payer is not held responsible for all of the tax debts. In such cases there are various methods to settle for less than one owed? It is a process with strict requirements. The IRS/tax authority only allows an offer in compromise if the tax payers’ offer is equal to or more than what the firm would be able to collect via forced collection methods. It is only offered to tax payers who have jointly filed with their spouses. Under normal circumstances both spouses are responsible for the debt, interest and penalties. However, at some instances, it is not fair to hold both spouses responsible. If one qualifies, the tax authorities hold the spouse liable but not responsible. This is a situation where the tax authorities forgive a penalty or penalties. It is a common method for settling tax debts for less than one owe. This is when one makes payment depending on what one can raise instead of the monthly amount needed to settle the debt fully. The balance gets reduced as time goes by, as the expiry date nears, the tax debt is reduced and eventually one is not responsible for it anymore. I am also commenting to let you understand of the fine experience my friend’s princess developed reading through your webblog. She even learned many pieces, which include what it’s like to have a marvelous helping mindset to make other people really easily thoroughly grasp specific problematic subject matter. You really exceeded our expected results. Many thanks for imparting the productive, dependable, edifying and unique tips on the topic to Jane.